Based in Bristol since July 2017, Oliver obtained a degree in City and Regional Planning and a Diploma in Town Planning from the University of Wales, Cardiff, in 2001. He has previously been employed at New Forest District Council, Salisbury (then Wiltshire) Council and, most recently, Mendip District Council where he was Principal Planning Officer in Development Management. He has been a member of the RTPI since 2003. Oliver has given appeal evidence at a number of public inquiries and numerous appeal hearings, and has wide experience of all aspects of development management, including large and complex proposals. 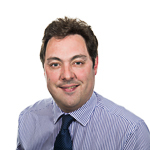 Oliver has particular expertise in affordable housing, older persons’ accommodation and planning enforcement.